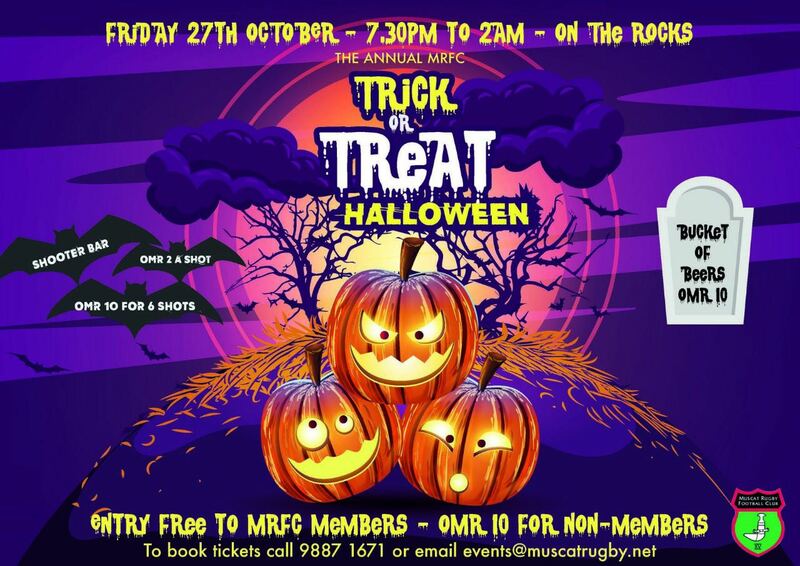 The annual MRFC Halloween party is on once again tomorrow night, in a new venue this time to change things up. 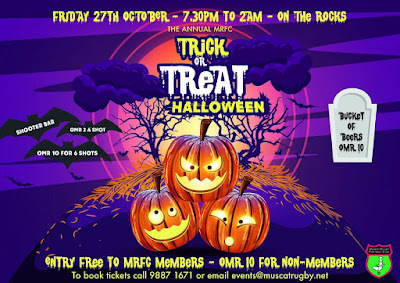 On The Rocks which is by the Golden Tulip will be the hosting venue for the Halloween party and tickets can (for the first time ever) be purchased on the door for RO 10 or its free if you are a MRFC member and you show your card. New venue, new prices! And a DJ too (thats been sorted out)! This party has historically been a really good one because everyone goes in costume and for that reason its a lot of fun. You can WhatsApp 9887 1671 for tickets.